Join The BIG Listeners Club Now! It’s here! 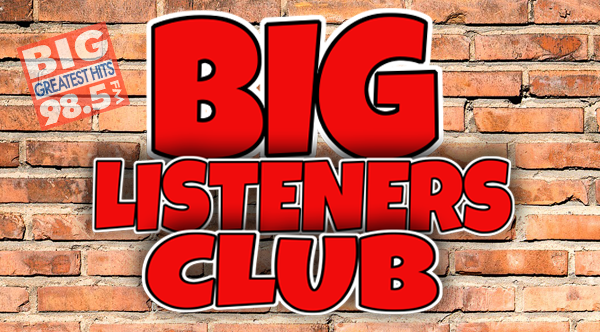 The BIG Listeners Club is where you can hear about BIG concerts, BIG events, and BIG contests! Because our members get more information, more chances to win and more fun! Be part of the club! The BIG Listeners Club!